Last week, the Grade fives and sixes did something that can make many adults break out in a nervous sweat – public speaking. We shouldn’t underestimate how challenging this task can be for kids but at the same time, public speaking is a skill that, if learnt early, will serve you well for life. 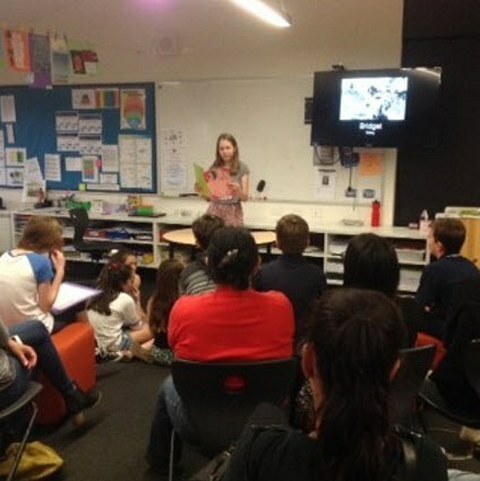 Seeing and hearing our accomplished senior school students made me think about my own public speaking experience and how it very much shaped my teens and what I did at university. When I was 15, I went on school exchange to Germany. One of the conditions of the exchange program was that I complete a Toastmasters public speaking course. I loathed it (and only kept going because of the promise of lederhosen and strudel in my future). On my return from Germany, my high school, knowing I’d done Toastmasters, had me speaking at all sorts of events – school information nights, assemblies and so on. I loathed it. But something must have stuck because by the time I got to university I discovered that some people not only loathe public speaking but were also petrified by the thought of it. And that they’ll do almost anything to get out of it. So began my time as the ‘person in the group who’ll do the presentation’ – I realised that doing the public speaking bit was far preferable to pulling all-nighters on the content of group assignments. Suddenly, I was loving public speaking. Often with public speaking, the gap widens – people who are happy to give it a try get better and better every time they speak, and for those that avoid it, it can get harder and harder. 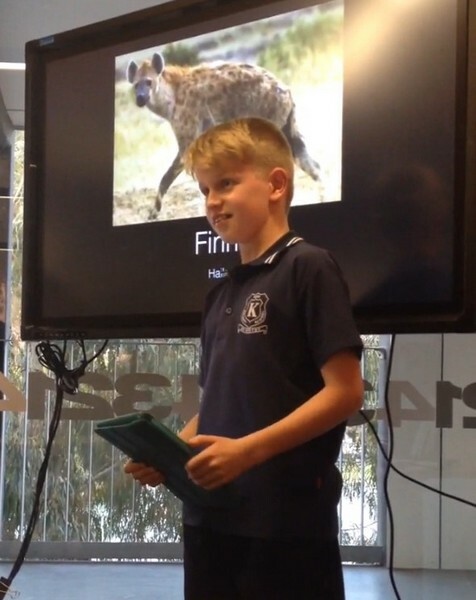 In hindsight, the Toastmasters course was probably one of the best things I ever did for my education and I encourage my own kids to take every opportunity they can to speak in public, even though they might find it extremely difficult and challenging. Now that I’ve bored you with my own story, I’ll pass to Sonia Hocking, who shares a bit about the fantastic Words Worth Listening To event that gave all of the senior students a chance to speak (and we heard stories, debates, haiku and more). 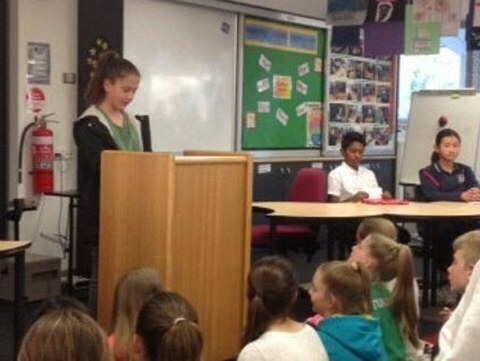 The Grade 5s and 6s took part in a debating, poetry recital and story-telling evening on Thursday 8th October, Words Worth Listening To. 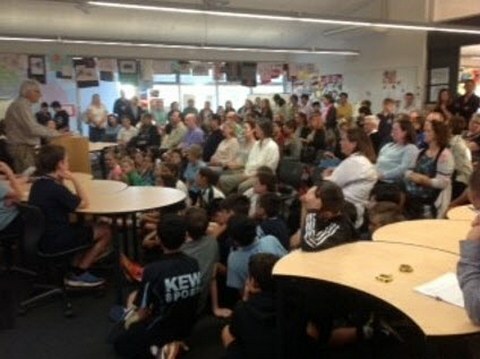 The evening was an opportunity for the students to present their creative writing and poetry skills written throughout the year as well as giving them a forum to practise their debating and presentation skills to an audience other than their peers. Use interaction skills, varying conventions of spoken interactions such as voice volume, tone, pitch and pace, according to group size, formality of interaction and needs and expertise of the audience. Plan, rehearse and deliver presentations, selecting appropriate content for the audience and purpose, making appropriate choices and emphasis. This entry was posted in Events, Learning and tagged debating, extra-curricular, Grade 5, Grade 6, reading by Kate W. Bookmark the permalink.